Thanks for coming back to discuss The Square. If you haven't had a chance to watch this important and riveting documentary, you can do so here. As you know, three years ago, a young generation of Egyptian demonstrators successfully ousted sitting dictator Hosni Mubarak in a revolutionary wave known as the Arab Spring. After the initial momentum, Egypt's modern revolution never stopped. The turmoil that followed has thrown the country into an ongoing, deadly state of instability. Unlike the rebellions of decades past, this one was defined by the rebels' digital savvy. Egyptian-American filmmaker Jehane Noujaim has distilled three years of digital testimony into The Square, an unflinching and fascinating look at what Egypt has experienced these past few years and where it seems to be headed. So let's get started: What were your immediate thoughts about The Square? 1. Which person in the film did you find the most immediately compelling? Did your reaction to them have more to do with their ideas or their charisma? 2. To what extent did you find that The Square treated different factions fairly? 3. If you could pinpoint one thing the demonstrators could have done differently, what would it be? 4. Is it even possible to document history in real time with any kind of depth, or is a longer period of reflection required before we can communicate history effectively? 5. Should American media be covering these events differently? If so, how? 6. What are your thoughts about social media as a tool for revolution? Would the Arab Spring have been possible without Twitter? What else occurred to you while watching The Square? Let's discuss in the comments. Documentary Club is a weekly feature in which we watch and discuss the finest documentaries available to stream on Netflix. 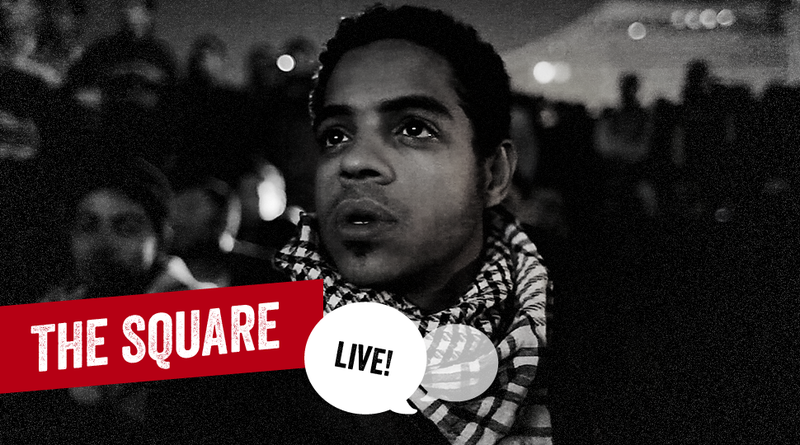 This week we're streaming The Square. Watch the film and join the conversation, won't you?